Most of us should be so lucky. This entry was posted in Bad Headlines. Bookmark the permalink. 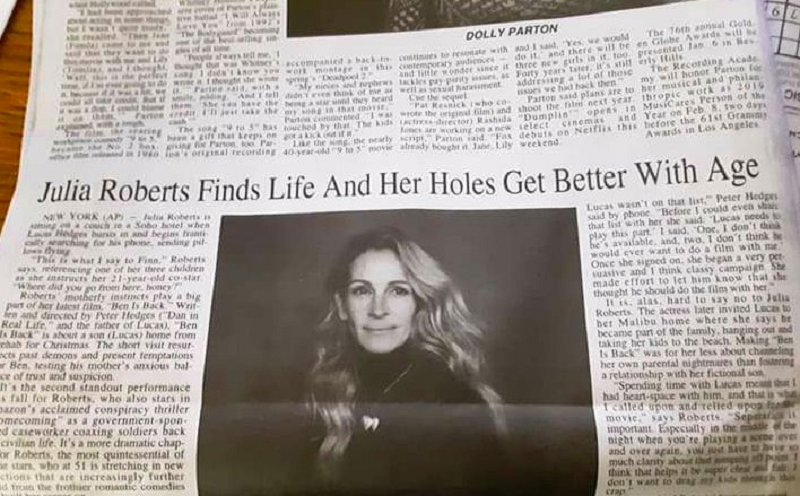 Well she is Julia Roberts. I really wanted to say something crude; but after watching “Homecoming,” I fell in love all over again. What does that headline even, purportedly, mean? oh…heh. Thank ewe. I did not read the smaller print to maybe help [it is too, legal now, to splint infinitives] answer the puzzlement. There are no editors anymore, Purplehead. Proceed with abandon! I wish I knew Julia’s secret. My pie-hole has been getting me into more trouble the older I get and the less I seem to care.